The outlook for higher domestic interest rates is intact as US GDP growth is expected to be sizzling hot at 3-4% in 2Q18. Four hikes in FED funds rate are anticipated for 2018, instead of the previously-expected three. Continued strength in the US dollar would provide uplift to SIBOR and SOR over time. The escalation of trade conflicts dampens growth prospects due to the potential slowdown in global trade. We lowered our target prices for DBS to S$30.15 and OCBC to S$14.28. As anticipated, the Federal Reserve (FED) hiked Fed funds rate by 25bp to 1.75% on 13 June. Based on a poll of FOMC participants, the median projected path for Fed funds rate has increased to 2.4% at end-18 (previous: 2.1%) and 3.1% at end-19 (previous: 2.9%) but remains unchanged at 3.4% for end-20. The projected path implies four interest rate hikes in 2018 (previous: three), three in 2019 but only one in 2020 (previous: two). According to Chairman Jerome Powell, the US economy is in a great shape. Fed board members have revised GDP forecast higher by 0.1ppt to 2.8% for 2018. They also expect unemployment rate to trend lower to 3.6% (previous: 3.8%) and core PCE inflation to trend higher to 2.1% (previous: 1.9%). The US economy has picked up from a slow start in January and February. Many private sector economists have revised up their US GDP forecasts to a 3-4% growth for 2Q18 (1Q18: +2.3%) due to the recovery in manufacturing, inventory replenishment and narrower trade deficit. Atlanta FED’s GDPNow forecasting model, an unadjusted running estimate of US GDP growth based on available economic data, estimates that US GDP would expand by 4.7% in 2Q18. The correction in the bond market and the resultant higher yields for government and corporate bonds would have a positive impact on pricing for corporate loans. The recent strength in the US dollar, if sustained, should be a booster domestically for SOR and SIBOR. The US dollar has so far strengthened by 3.8% in 2Q18 against the Singapore dollar. The basis for our expectation of higher domestic interest rates remains intact. Banks’ share prices have experienced volatility as both the US and China have ramped up trade war rhetoric. However, it is difficult to imagine that both the US and China would accept a lose-lose outcome. DBS and OCBC have larger footprint in Greater China due to their respective acquisitions of Dao Heng Bank and Wing Hang Bank. Greater China accounted for 25% of DBS’ PBT and total assets compared with 19% for OCBC. DBS and OCBC benefit more from growth within Greater China. However, they will be affected more if trade conflicts escalate, resulting in broader slowdown at China’s coastal provinces. The trend of higher domestic interest rates remains intact. However, the escalation of trade conflicts has created uncertainties. We have lowered our target prices for DBS and OCBC accordingly to factor in the diminished growth prospects due to the potential slowdown in global trade. Management confident of achieving ROE of 12.5% for 2018. S$ CASA ratio was stable at 90.2% while HK$ CASA ratio improved 6.2ppt y-o-y to 58.4% in 1Q18. DBS provides an attractive dividend yield of 4.5% based on DPS of S$1.20 for 2018F. 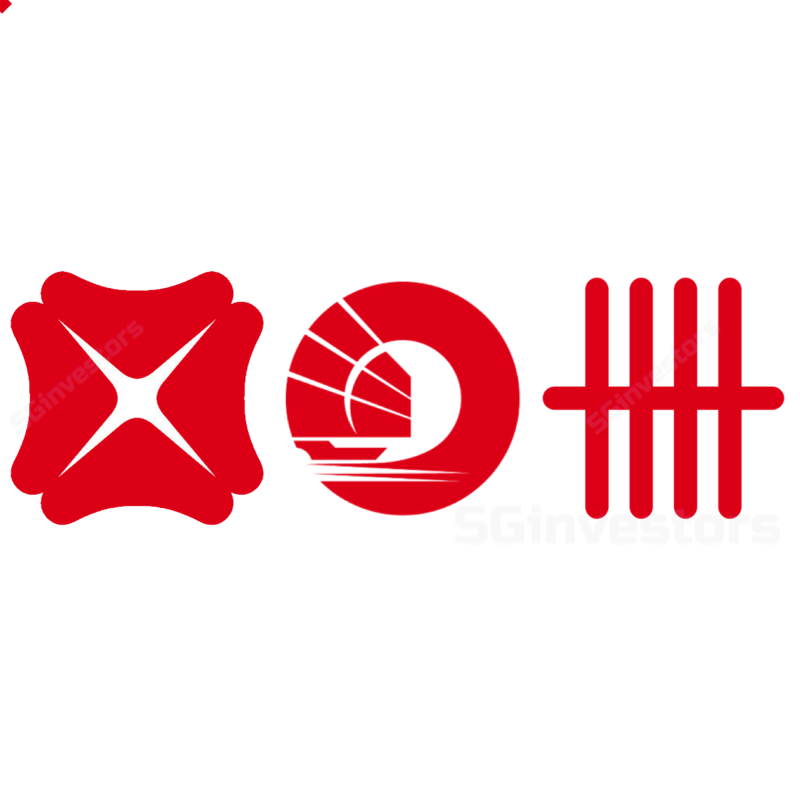 We have lowered our target price to S$30.15, based on 1.65x 2018F P/B, derived from Gordon Growth Model (ROE: 11.9%, COE: 8.0% (beta: 1.1x) and Growth: 2.0% (previous: 2.5%)). We estimate that implementation of internal ratings-based approach (IRBA) to compute risk-weighted assets for OCBC Wing Hang in 2019 would improve CET-1 CAR by 0.6ppt. Management will evaluate reinstating scrip dividend scheme as a tool for capital management to support a higher dividend payout ratio. We have lowered target price to S$14.28, based on 1.46x 2018F P/B, derived from Gordon Growth Model (ROE: 11.0%, COE: 8.0% (previous: 7.75%) and Growth: 1.5% (previous: 2.0%)). We maintain our existing earnings forecast.